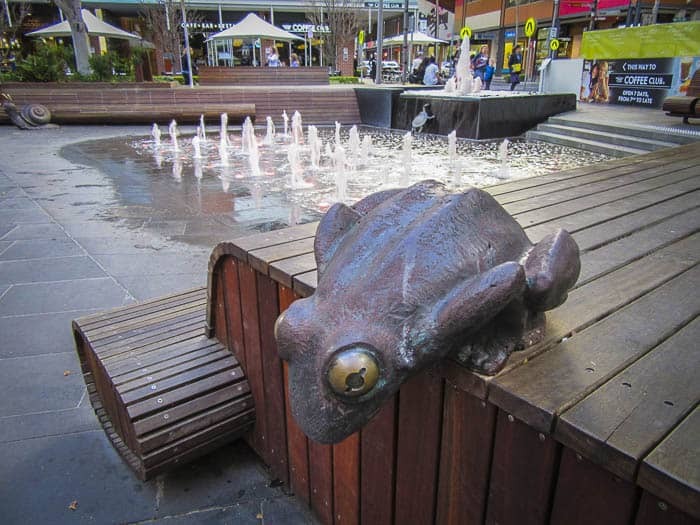 Quite a few families who live in the Hills District of Sydney spend a lot of their free time at the Rouse Hill Town Centre (RHTC). 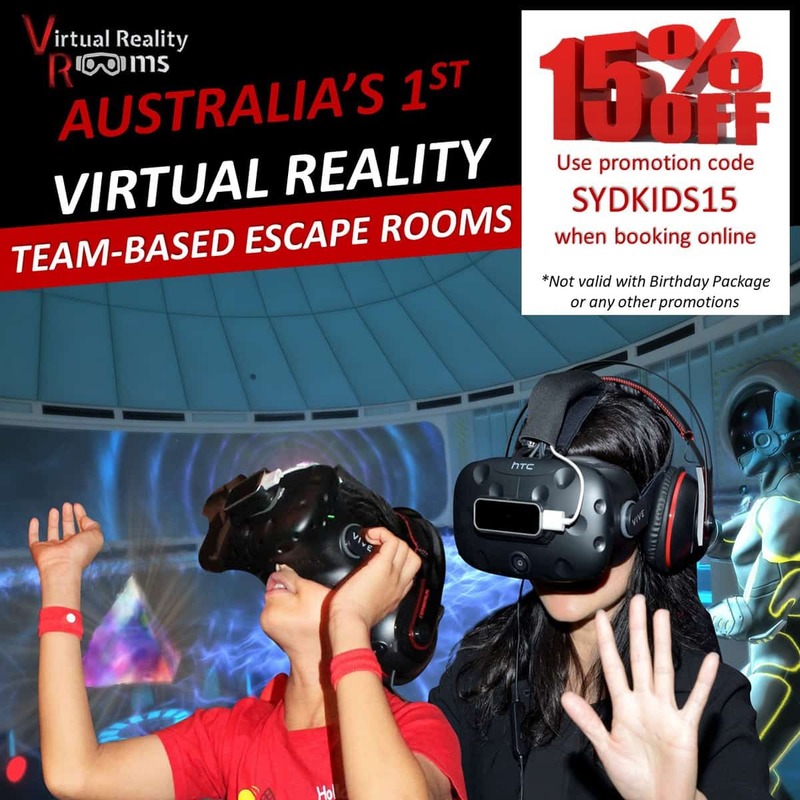 It’s basically a one stop shopping and entertainment centre for all things family. But it’s a shopping centre unlike any other in Sydney. That’s because it’s all outdoors just like a town centre, where you can wander up and down the high street popping in to whatever shops take your fancy. But this town centre covers about 10ha and contains about 210 shops, so you most definitely can get your steps up wandering around! The reason why so many fambams spend their leisure time here is because it’s just so darn family friendly! As you walk around you will find musical and educational “toys” scattered throughout the laneways and streets that make up the town centre. 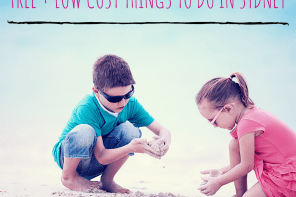 You will also find four different areas designated as family sanctuaries, as well as a cinema, library, community garden and school holiday events to keep bored kidlets occupied. And there are dozens of family friendly places to eat at as well. 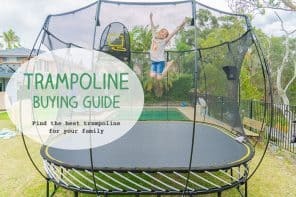 Now the Backyard is the definitely the best and most popular of these family sanctuaries. 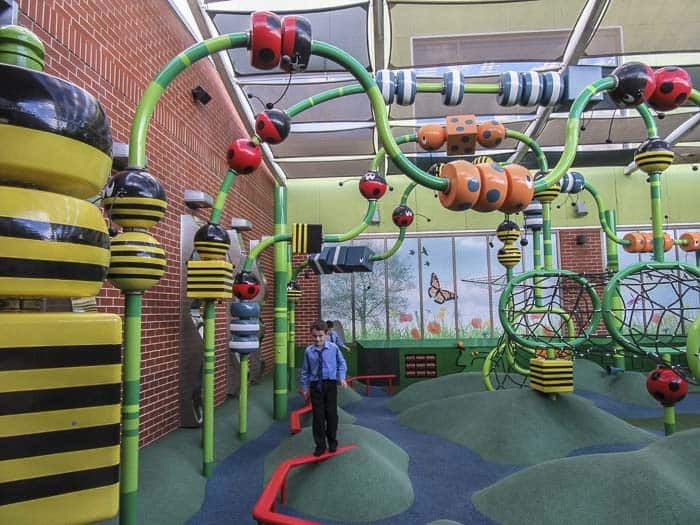 This brightly coloured playground is meant to resemble a “backyard” but it’s way cooler than the one we have that’s for sure! The space is covered in synthetic turf to resembles grass, which makes it easy for crawlers to get around without hurting themselves too much. 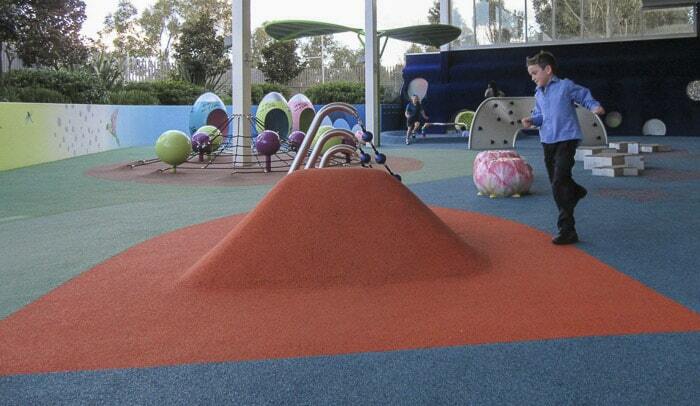 There are mounds to climb over and sensory boards to keep their little fingers occupied. 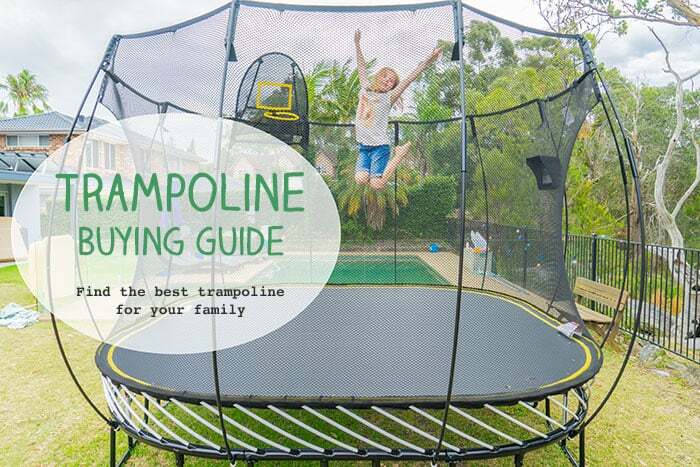 Bigger kids will love the balance beams, climbing nets and slippery dip. And the place is decorated with little bugs and a huge mural on the back wall of a hills hoist in a flowering meadow. The Backyard is classed as an all ages playground (but it’s probably best for kids under nine years. 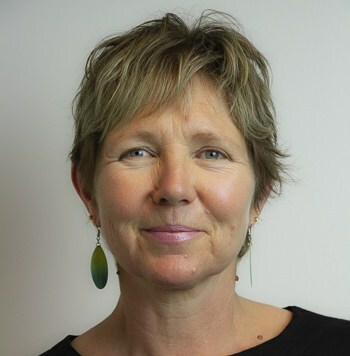 It is not fully secure which can be concerning for parents of toddlers and young children. Basically if your kid can climb, then they can easily get out of there. There is a small wall which separates the playground from the café next door to it, and for parents who hate getting up and down multiple times to let the kids out through the gate, this is a Godsend. However, for those of us who might get a little too absorbed with our social media feeds, and forget to keep checking on our offspring, you may end up with a kidlet doing a runner on you. So I’ve got the negatives out of the road, let’s move on to more of the positives because there are loads of them. 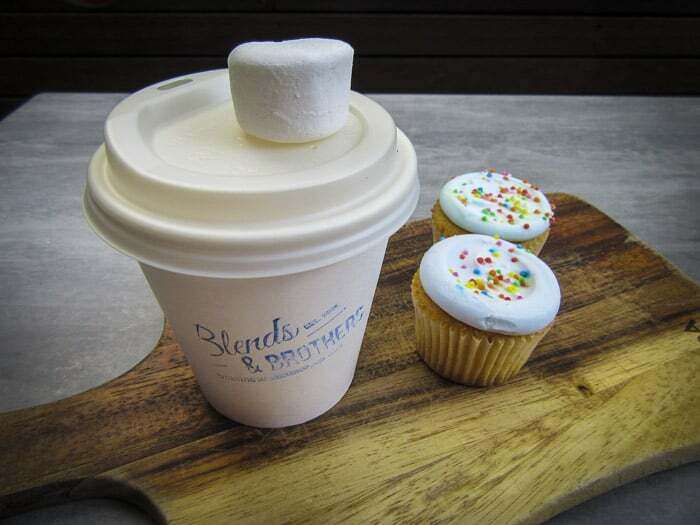 First and foremost, the Backyard is sandwiched between two cafes – how good is that! On one side you have the uber cool Blends & Brothers, which is a café and a barber. So you can have a coffee and a crew cut (it’s for blokes and little dudes only) all at the one time. On the other side is the decadent Oliver Brown Belgian Chocolate Café, where you can drown your sorrows in all sorts of chocolatey goodness. Both cafes are always packed with families, so don’t be afraid to dine out with your kidlets here. If you’re not into cafes, there’s a long bench seat inside the playground where you can park your behind whilst your kids play. If an emergency strikes, the parents/family room is a hop skip and jump away. This room also has a little play area to help occupy small kids in case you want to do a quick feed of your bub or maybe even do a wee by yourself for once. And there is even a microwave to heat up a bottle or some of your bub’s tucker. If your babe does an unexpected explosive number 3, and you don’t have a spare outfit to change them into, there are a couple of kids clothing stores directly opposite the Backyard, including Cotton on Kids. 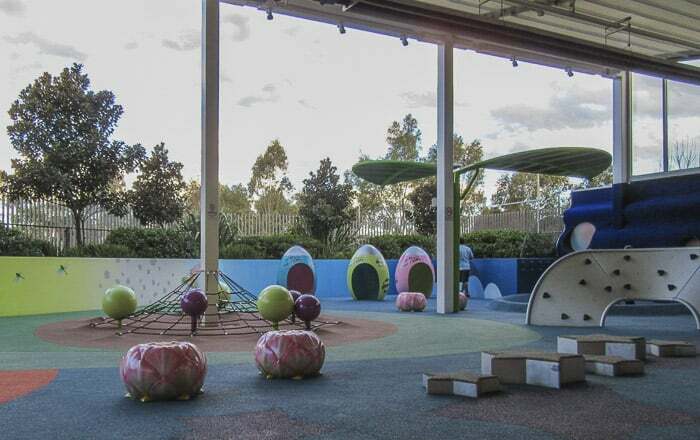 Now, if your kidlets still need entertaining after their time in the Backyard, or if the Backyard is just too full of other big sprogs enjoying themselves, then take them to the second playground which can be found just behind the food court in the RHTC. 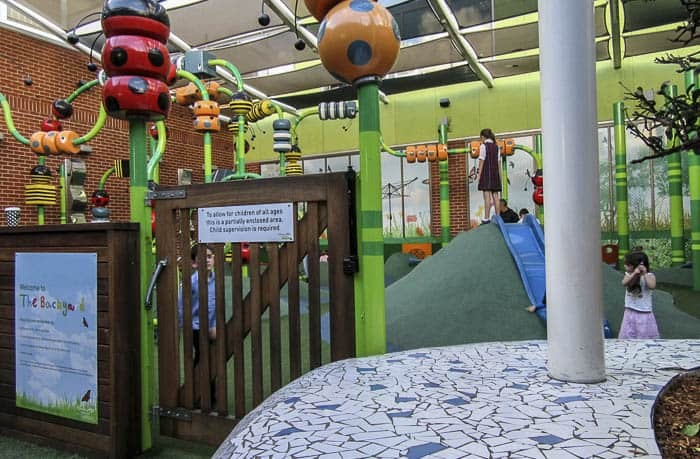 It’s called the Play Terrace and it is way more spacious, and is a safe area for little people to explore. 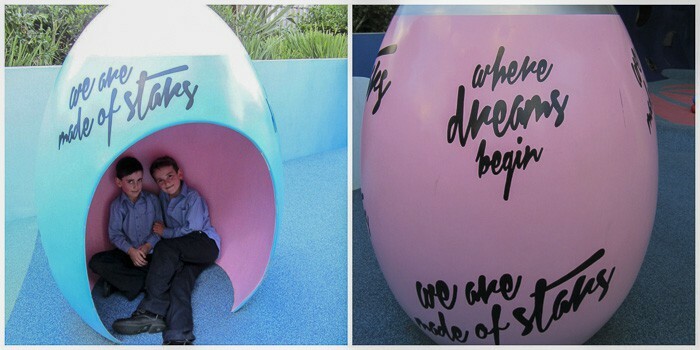 The Play Terrace has a space like theme with stars and planets to discover, moon eggs to hide in, and a quite a few low lying climbing apparatuses for smaller kids to climb on. On hot days (actually on any day), you will find a lot of kids cooling off in the water splash area which is in the Town Square. 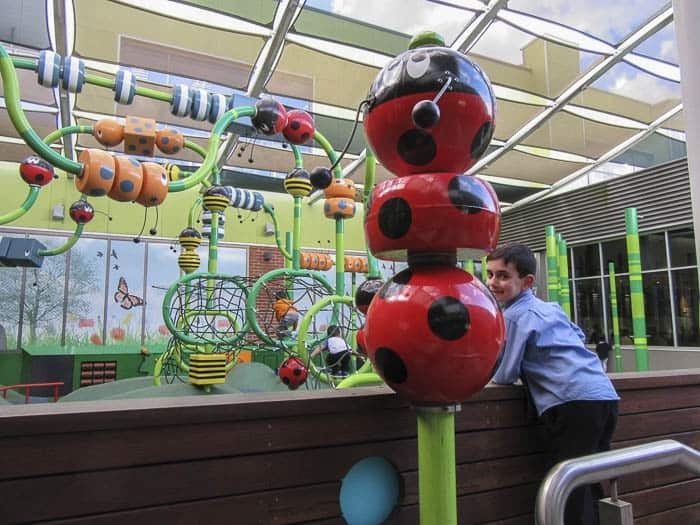 This area is surrounded by family friendly eateries (Mad Mex, Grill’d, Baskin Robbins, Coffee Emporium), so it’s a great spot for parents to recharge their batteries whilst the kids have a splashing good time. The last sanctuary for families is a roof top secret garden located somewhere within RHTC. But I’m not going to tell you where it is because it’s a secret! Actually that’s not true, it’s just that I can never find it. And trust me it is easy to get lost in RHTC if you aren’t a regular visitor and are hopeless with directions like I am. There are street signs, but the store directories are well disguised! 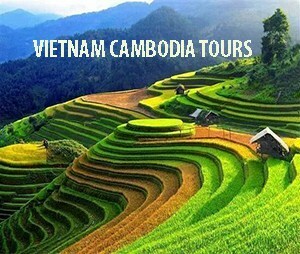 • And if you want find the secret garden….good luck with that, cause I have no clue where it is! 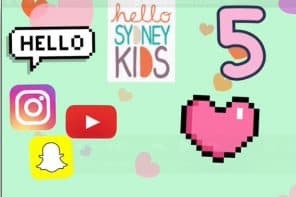 This post is by Hello Sydney Kids contributor Rebecca O’Farrell who writes the terrific blog about eating out in Sydney with kids, Little Munch. Wow. What a fun place. If we ever visit the area, I’ll make sure to take my kids there. Hi Brian, it’s a cool spot. Was there with my grandchild today.just a bit of friendly advice.the place definitely needs cleaning ,food and lollies all over the place. Oh dear, that’s a shame. The shopping centre needs to get onto that.